We were sitting together in a circle in the masjid and today’s talk was about the Prophet Muhammadﷺ. Young men and women, many of whom not born Muslim, moved to sit with us after performing the ‘asr prayer. We had come together to speak about the man whose life was dedicated to teaching us our religion. A few other attendees nodded their head in agreement, and a few others cracked a smile. “I know what you mean,” said Nancy, “at first I wondered the same thing.” Nancy, also a convert to Islam, had embraced the religion only a few months prior to Jacob. Having always been interested in religion, she had become interested in Islam after meeting some Muslims, and became open to learning more. Like Jacob she had found in Islam a religion that she could embrace. She liked the dignity that Islam afforded women, the emphasis upon prayer, and the direction that it gave her life; though, like Jacob, at the time of her conversion she knew very little about the Prophet Muhammad ﷺ. Although I was asked to lead them in the discussion, I was no different from them. When I embraced Islam it was due to the beauty and depth of the Qur’an, which nothing but a light placed in my heart had convinced me to firmly believe to have a divine origin. And, like Jacob and Nancy, I had only known initially that the Prophet Muhammad ﷺ was the one to whom the Qur’an was revealed, and perhaps a few stories about his blessed life. As we sat there together and continued to share our stories, I realized something I had not before: In each of our personal stories, including my own, the example of the Prophet ﷺ had increasingly taken on a more critical role in our daily lives and in the strength of our faith. Though we did not know that much about him initially, when we were going through a trial a Muslim friend would relate to us a story about Muhammad ﷺ going through a more difficult trial, and so we would try harder to be patient. When we were having difficulties with friends or family, someone would inform us about how the Prophet ﷺ treated other people and we would try harder to be like him. And, as we were learning how to properly worship God, we realized how perfectly the Prophet ﷺ worshiped Him. Though we each had known little about the Messenger ﷺ when we first embraced Islam, by following Islam his example became increasingly important at each step along the way; and so did our love for him ﷺ. In fact, his life and example taught us, and still teaches us, how to follow the faith we had been moved by God to embrace. 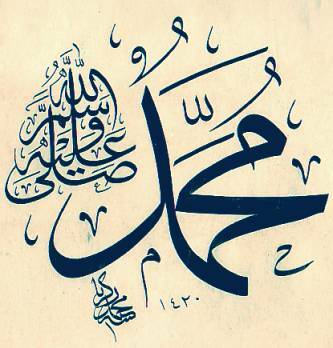 While we had known little about the Prophet ﷺ, by embracing Islam we had come to discover–through our striving to achieve (as close as possible) a resemblance to his exalted level of character–that he truly is the one worthy of praise and emulation. May the peace and blessings of God be upon him and his folk. How true. SubhanAllah yet when I accepted Islam it was the stories of the messenger of Allah sallallahu alaihi wa sallam that filled my heart with love and wonder at such a prophet that I couldn’t believe I had never heard of him before sallAllahu alaihi wa sallam.